The majority of our products can be installed in seconds, simply by screwing or snapping a Divvali LED bulb into an existing/traditional fixture. This is true of the most common forms of lighting, such as globes and task lighting. Our downlight fixtures are also quick and easy to install. 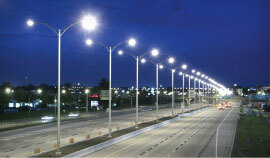 To assess your lighting needs, please contact us. Not all LED's are created equal. Eager to exploit a growing trend, many LED suppliers sell inferior products that have not been properly tested. Divvali, currently celebrating its 10th year of operations, stands behind its industry-leading warranty of at least 3 years on every single bulb sold. Certified for use around the world. Divalli's LED products adhere to strict quality guidelines and meet all regional and international standards wherever they are sold. We obtain certification in every country in which we offer our products. Rest assured that with Divvali, you are receiving a product of exceptional quality.